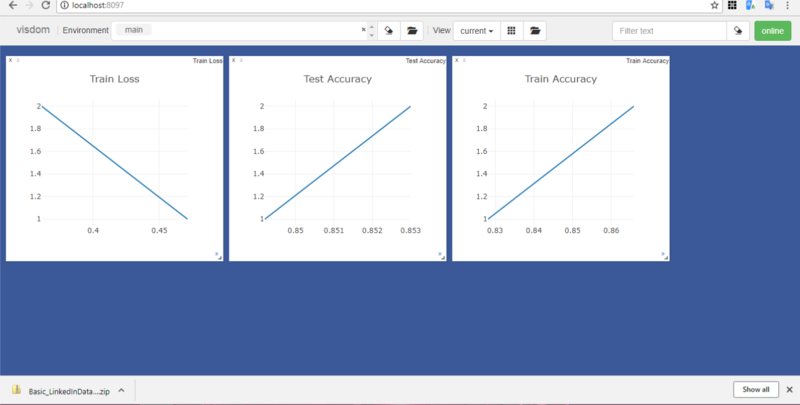 While torchfusion allows you to easily visualize the training process using matplotlib based charts, for more advanced visualization, Torchfusion has in-built support for visualizing the training process in both Visdom and Tensorboard. Visdom is a visualizing kit developed by Facebook AI Research, visdom was installed the first time you installed Torchfusion. To visualize your training process in visdom, follow the steps below. 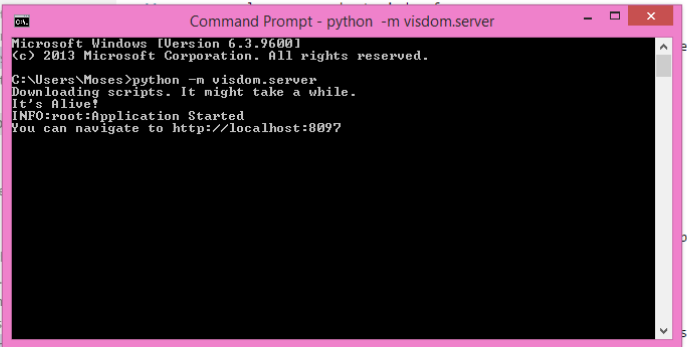 Ensure you are connected to the intenet when you run this, as visdom will need to download a few scripts. 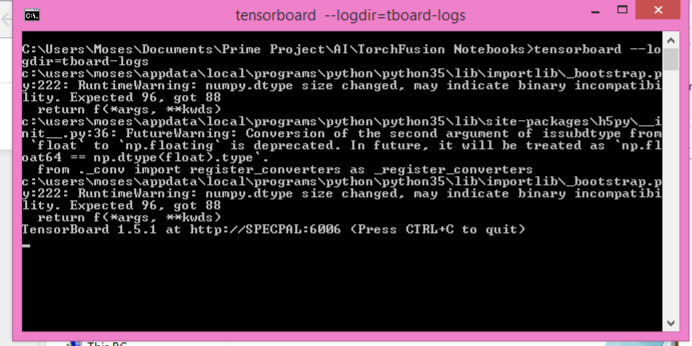 Using Tensorboard Torchfusion can also generate tensorboard logs that you can view with tensorboard, while Torchfusion does not require tensorboard or tensorflow installed to generate the logs as it uses TensorboardX, you need to install both tensorflow and tensorboard to view the generated logs. 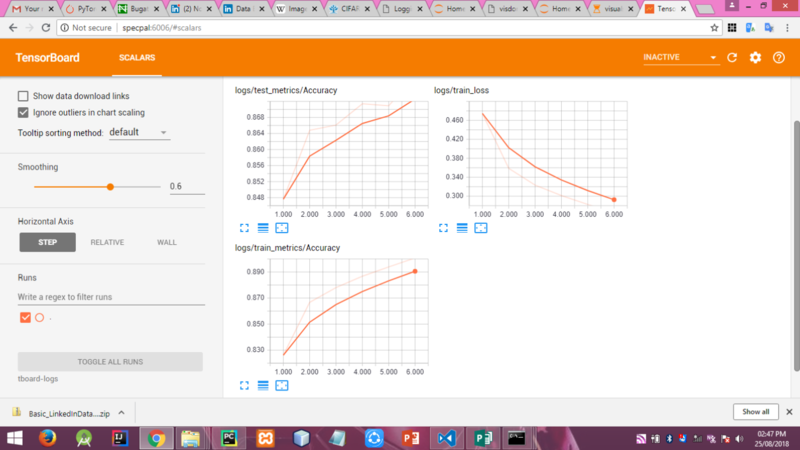 Once installed, you can use tensorboard in just ONE Line. Notice how we use both tensorboard and visdom here, we can use either independently or both if we want to.